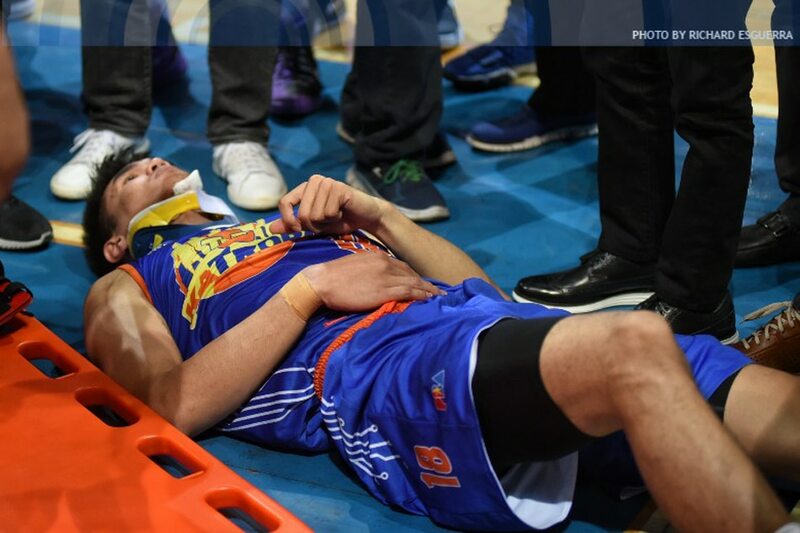 MANILA, Philippines – TNT forward Troy Rosario sustained a huge cut on his chin but was otherwise spared from serious injury following his scary fall during their PBA Philippine Cup game against Phoenix on Wednesday night. Rosario had to be stretchered out of the playing court at the Mall of Asia Arena, as he crashed face-first to the floor after attempting to grab a rebound early in the fourth quarter. He accidentally tripped on the feet of Phoenix rookie Jason Perkins, who had been battling for position with TNT veteran Kelly Williams. Rosario's head bounced off the floor with a loud thud, and his neck was immobilized as he was wheeled out of the court. Phoenix went on to beat TNT, 74-72. Rosario had four points and eight rebounds in 21 minutes before suffering the injury. After the game, TNT coach Nash Racela said his player was "okay," having gone through tests at the Makati Medical Center. "Good signs. No fracture, (no) dislocation," said Racela, as quoted by the league website. 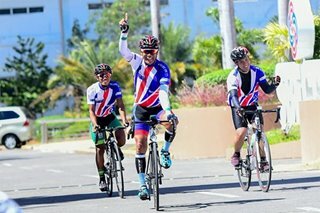 "May wound lang na malaki." Rosario was seen holding on to his chin after suffering the fall. Racela was informed by doctors that Rosario will be kept under observation as a precautionary measure. Wednesday's loss to Phoenix was already TNT's fourth of the conference against the same number of wins. They are mired in the middle of the pack along with the Fuel Masters and Barangay Ginebra.